Janet a certified Executive Business Coach with expertise in Corporate Protocol, Professional Image & Leadership Development. Janet is also a certified Emotional Intelligence Assessor as well as a member of the John Maxwell Leadership Team. Janet holds a Bsc honours in Economics, an MBA and is a qualified Chartered Accountant; a fellow with the Association of Certified Chartered Accountants (ACCA). With over 25years experience, Janet has multitudes of exposure in international business ethics, personal and corporate image, cultural life styles, dress codes and international protocol techniques; she draws on her experiences as a seasoned financial auditor working for two top accounting firms KPMG and Ernst & Young. Janet has successfully impacted many lives in her quest for excellence through her teachings on personal and professional growth that help improve confidence, competitive advantage, panache and presence. 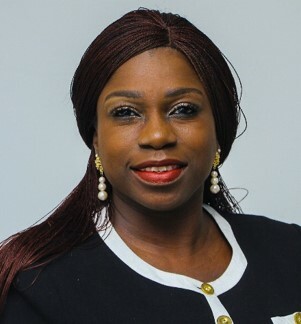 Janet is a highly-sought after inspirational and motivational speaker conducting fun and interactive leadership development seminars, impression management workshops, executive and business protocol coaching with other key speaking engagements in Nigeria, Kenya and United Kingdom. Janet is dedicated to helping corporate organizations, professionals, expatriates, diplomats, individuals and youths, to polish their professionalism, improve their social graces, master their interpersonal skills and enhance their image, style and executive presence. She is very happy being a mentor to a number of people across the globe. Janet’s passion is to build leadership growth potential with protocol distinction. Janet is a go getter championing the cause of Professional Civility, Image Enhancement & Attitudinal Change in the working environment in Nigeria and beyond. Along with her amiable team Janet has masterminded many projects, some of the signature programs include Professional Presence for executives, Employable You as well as Empowering Young Minds for young professionals /entrepreneurs and Grooming Graces Initiative.